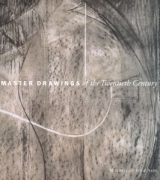 Mitchell-Innes & Nash is pleased to announce the opening of their exhibition: Master Drawings of the Twentieth Century. The show will consist of over 40 drawings by artists including: Jasper Johns, Ellsworth Kelly, Willem de Kooning, Brice Marden, Henri Matisse, Pablo Picasso, Robert Rauschenberg, Jack Tworkov and Terry Winters. The exhibition spans the whole twentieth century and seeks to present the concept of the fully worked drawing as a work of art in its own right.